In this article, marine biologist and expedition leader, Giovanna Fasanelli, shares her passion for marine exploration, and reveals her favorite Australia dive sites at Rowley Shoals and Ningaloo Reef, along with Indonesia’s Komodo National Park. I have the great privilege, at this stage in my life, of being able to look back over twenty years of marine exploration around the world. My unwavering passion for the ocean and its amazing animals has driven me to search for the most pristine and biodiverse habitats, those special secret spots where life seems to burst forth with the explosive energy of fireworks, in stupefying varieties of form and color amidst aquatic landscapes that defy description. My eyes have seen boundless beauty. I simply cannot satisfactorily express how much I love this realm. Less than 40 miles west of Broome, in the rugged north-western region of Australia, lie three amazing atolls known to the world as the Rowley Shoals. They are among the most pristine shoal atolls on Earth. Unlike oceanic atolls that owe their existence to submerged volcanic islands that rise from oceanic crust, shoal atolls are ones that originate from the floor of a continental shelf. Like gargantuan porcelain mushrooms rising from a slab of concrete, the three lonely atolls support a staggering array of marine life that benefits from the watchful eyes of responsible diving and fishing charters that visit the shoals on a regular basis. Here, the fish have the chance to grow old. Hugging the western Australian coastline is the profoundly influential Leeuwin Current that transports warm water from Indonesia and East Timor all the way to Perth where it finally loses strength and succumbs to the retarding, chilly forces of temperate climes. But along its life, this unusual conveyor belt transforms what should be a cold and coral-less environment along Australia’s western shores into a tropical oasis bringing with it a fantastic array of familiar forms and faces that hail from the world’s richest reefs to the north. Add to this an array of uniquely north-Australian species and you have a very fresh marine experience to enjoy! The tidal exchanges in this part of the world bring both life and the opportunity to enjoy some world-class drift snorkeling. I have visited these atolls twice now during my various television projects with Australian productions and I have always wanted to return to share with fellow marine-lovers, this incredible location. And that dream is happening this year. We will spend four days in this remote region exploring as much of these atolls as we dare! But the adventure just begins here for the next chapter sees us enjoying the largest fringing reef in the world, Ningaloo, which shouldn’t need any introduction at all! 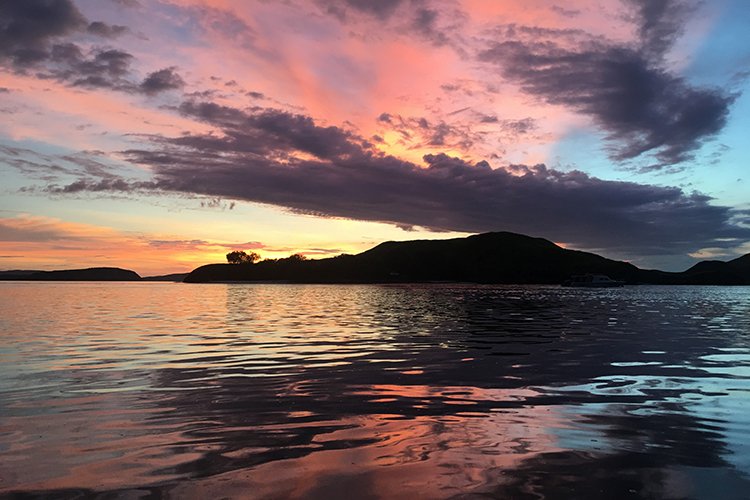 After digging up all the treasures, both land and sea, from this wild part of the world, we fly to Komodo where, not only the likes of primordial, venomous dragons await us, but a marine system that simply needs to be experienced. 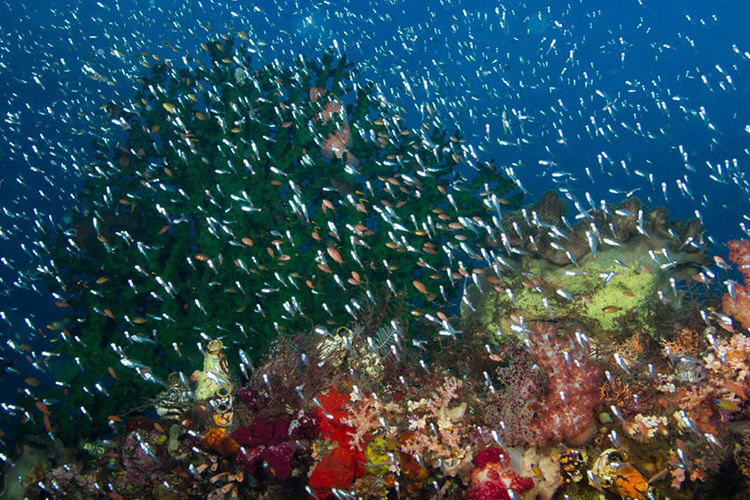 Komodo’s fame for exceptional diving and snorkeling reaches far and wide. 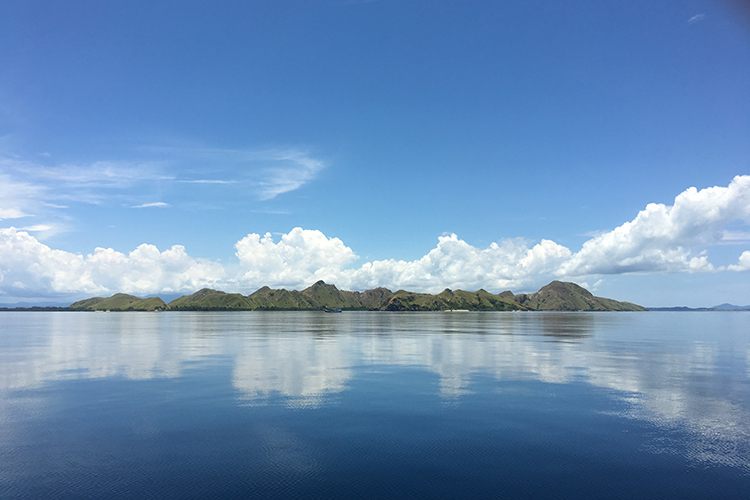 During our final chapter of this expedition we will enjoy as many of the best sites that the endless islands of this region have to offer and, hopefully, cross paths with the bomb-proof population of Reef Mantas that call Komodo home. 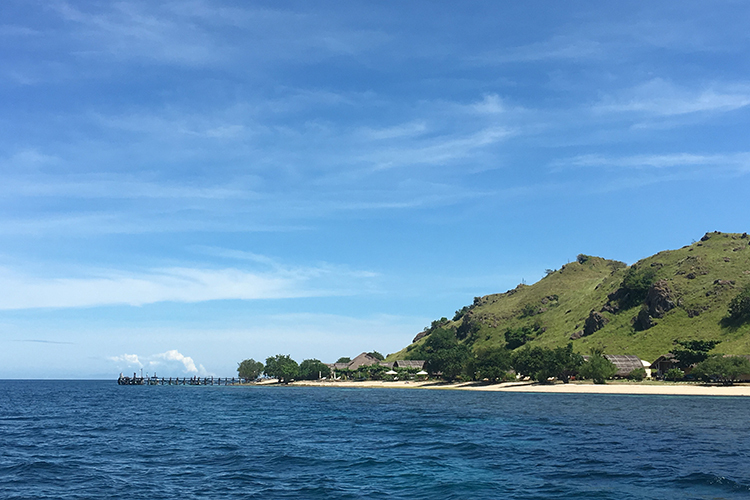 Even if we were to only snorkel the resort’s very own house reef, our visit to Komodo would be justified. Frankly, if you are a serious marine lover, you cannot afford to miss this opportunity to explore my favorite Australia dive spots along with Komodo. Join me and Jonathan Rossouw as we push the envelope once more and delve further into our understanding and celebration of what’s on offer below the surface of our planet’s magical ocean. 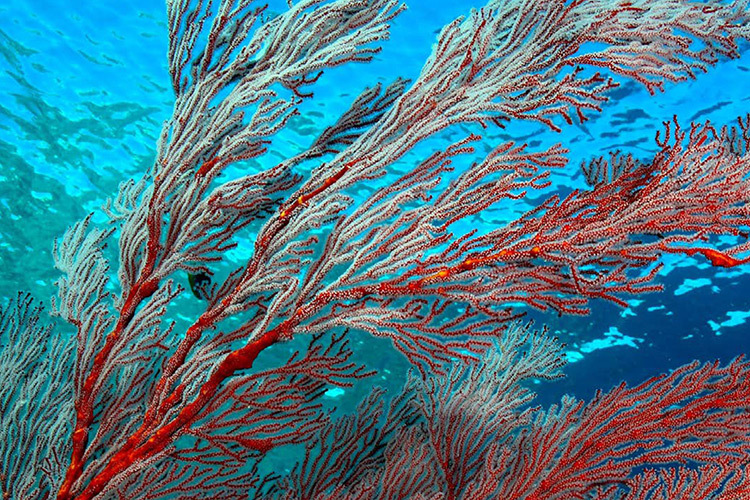 Find our more about diving and snorkeling in some of the world’s most remote and pristine marine areas on our Rowley Shoals, Ningaloo Reef and Komodo Island expedition page.